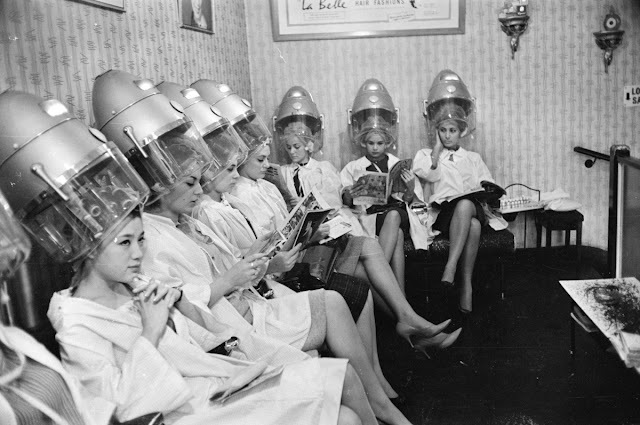 How Bourgeois: The Holy Grail of Hair Products! 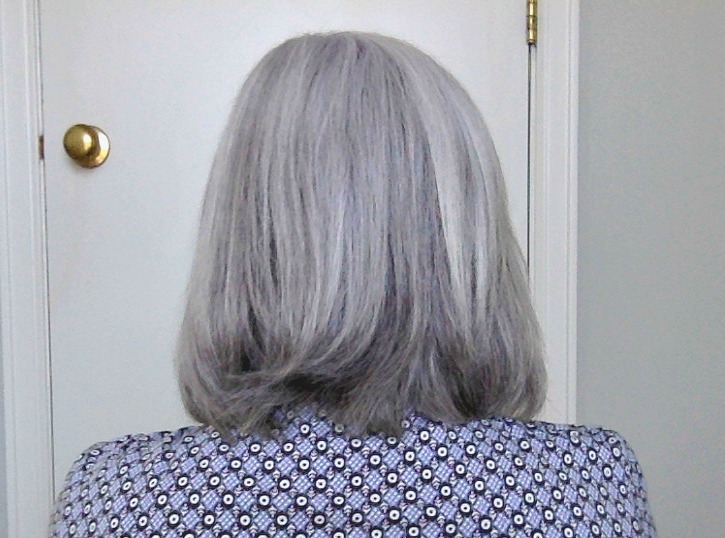 If You Want Silkier, More Shiny Gray Hair, Try These Two! The Holy Grail of Hair Products! If You Want Silkier, More Shiny Gray Hair, Try These Two! Are you ready? Do you want to know about the two products that have CHANGED my hair!? The two easy to find and affordable items that have basically stopped my never ending search for the holy grail of products? I've been testing them out all summer long, and now I can not only personally recommend them to you, but I can firmly say that are now essential routine. Before I tell you though, let me just touch on the equally important first step that you need to do in order to set the stage for bright and shiny looking hair - find a great shampoo and conditioner! Particularly one formulated for gray and white hair. They're often called "purple" shampoos and conditioners. They work to keep your whites white and to make sure the dull, yellowed tones that can so often develop on light hair, away! I've been through my fair share of "purple" shampoos and conditioners, and I've written about them over the years on the blog. In the end, I found my favorite duo more than a year ago, that I continue to use today and feel confident in recommending. 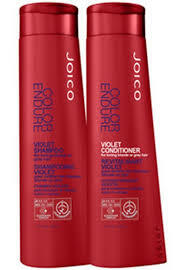 It's the Joico Color Endure Violet Shampoo and Conditioner and I use them regularly to keep my hair looking its best. Sulfate and paraben-free, and in GIANT 33.8 oz bottles, these two last me at least three months each time I purchase them. After playing around with these two, you'll begin to notice your white hair being a bit lighter and brighter. Take note, and try to figure out how often you need to use these purple products and for how long to leave them on your hair before rinsing to get your perfect result. Once in a while, when I used them too many times a week, or I go a few extra minutes before rinsing, my hair gets a temporary purple/gray cast. That said, I quickly realized that I only need to leave the shampoo and then conditioner on for a minute to get my optimal results, minus the purple. Play around, this set of shampoos and conditioner is so incredibly worth it! Ok, the moment you have all been waiting for! So....... at the end of spring, I was just tired of my frizzy flyways and I felt like I wanted my hair to be shinier. Summer was coming and for me, that means HUMIDITY and crazy hair! I decided to look for something new. A product or two that would help me accomplish my goals - more shine, less coarse frizziness and something to hold my style, even in outdoor heat and humidity. The problem was, because I had been pretty rigid about holding myself to only more natural products, I kind of tried everything already! Then one day I was at Target, in the haircare aisle. I passed by on the shelf an old friend, a familiar logo. It was John Freida's Frizz Ease line. As a teenager with curly, wild hair, Frizz Ease was a lifesaver for me and I used it everyday. Over time though, I stopped. I didn't want to use conventional products with all of their ingredients and I had heard that silicon wasn't great for keeping white hair white. So, as an adult, Frizz Ease never crossed my mind. 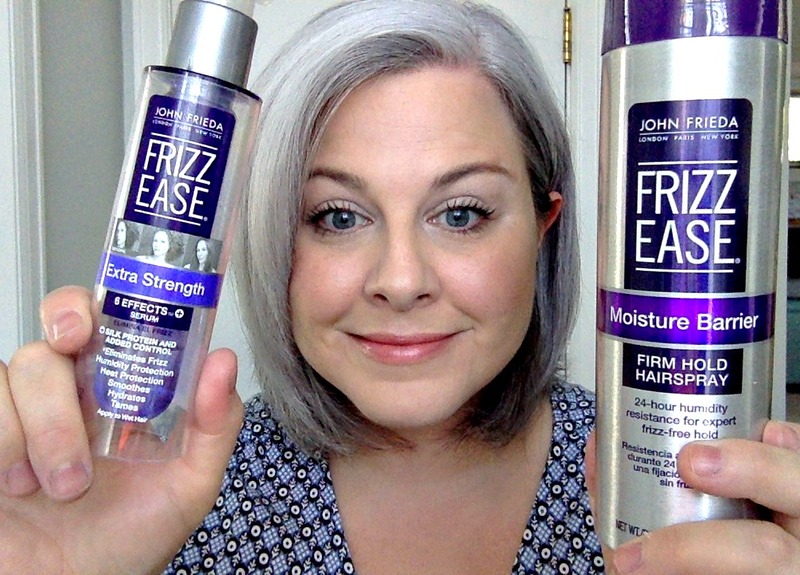 I'm not sure what prompted me to pick up a bottle of the Extra Strength Frizz Ease Serum or the Frizz Ease Moisture Barrier Firm Hold Hairspray, but I think it was simply hair desperation! I'm so glad that I let myself just try it out. It's been over three months and not only have I NOT noticed any "yellowing," but my hair is SIGNIFICANTLY softer, less coarse, less frizzy, and more shiny! The serum has not dulled my hair, even with daily heat styling. I'm pretty sure this is because I take the time to regularly use my purple shampoo and conditioner. I really keep up on my end, combating the yellowing. This is a good point to remember. 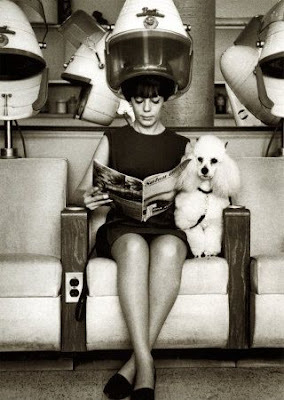 The hairspray was a God-send in the summertime. My hair pretty much stayed smooth and didn't go bonkers in the humidity. It was also great to keep my flyaways down and I feel like the spay adds a touch of shine. You can see, for somebody that normally has fairly thick, unruly and frizzy hair, these two products certainly help for everything to lay nicely and to calm down! I'm not just trying to sell you products. Truly, these are things that I have found through years of weeding through all kinds of brands and items. These are "tools" that I would recommend in a heartbeat to any Silver Sister on the street. 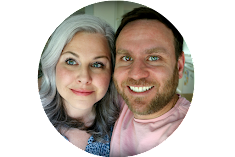 I like sharing what I've found works, so I can give back to others as they helped me in the beginning of my gray hair adventure. I hope that some of these tips and products will help you too, and that you'll go forward with confidence and a smile on your own journey! Shine on my Silver Sisters!!! Labels: gray grey hair "gray hair"
Awesome! I love your blogs! You are one of my inspirations for going grey! I have been dye free since December 2017. I always come back to your page to see if you have wrote anything new. I found your website when I first started growing out my grey and it really helped me so much in many ways! Thank you so much, Lauren. I was 45 when I started growing out my grey 2 years ago. I am so happy I made the decision to go natural and I feel it is so liberating not having to color my hair every 3 1/2 weeks. My hair was down the middle of my back when I cut it off to be at my ears to begin growing it out. I am now trying to let it grow long again.